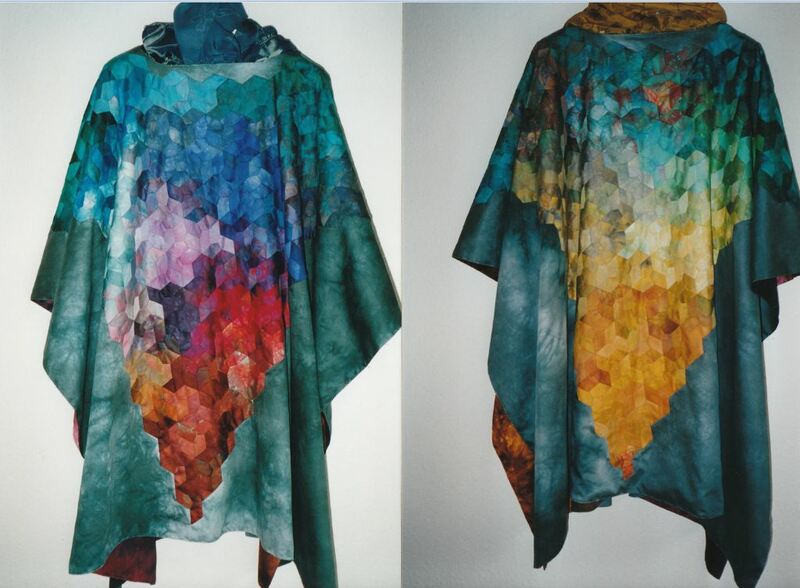 Today, I have something different for you – patchwork clothing. 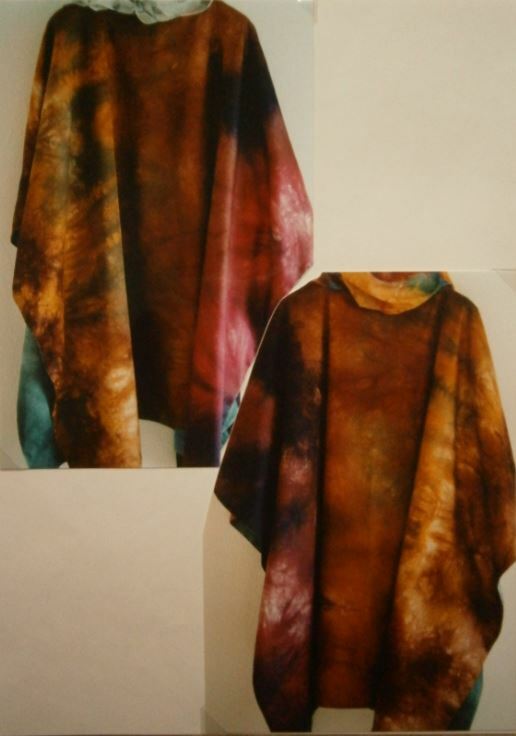 A poncho made of cotton satins hand-dyed in Heide Stoll-Weber’s studio. To be worn from all four sides, depending on the mood you’re in.